Seoul is truly on of the world's most valued gems; it's unique culture, vibrancy, and history make it a must-add to your bucket list travels. That's why we've put together the Ultimate Seoul itinerary 4 days for you to explore on your next trip to South Korea. The wonderful thing about traveling to Seoul is that it is an adventure year-round. Seoul does not have intense seasons like other places in the world, so it makes planning your trip seamless. However, if you're looking to go during more mild weather, between March-May and September-November are best. Incheon Airport is the main airport that you will likely be flying into. You can also check flight availability using SkyScanner below. There are many gorgeous places to stay in Seoul. You can stay in the beating heart of the city near Seoul Station or take a gander on the outskirts. The options are endless! You can read more about the best places to stay in Seoul here. One of the best features of Seoul is the vastly integrated public transportation system. Most stations have automated card dispensers in English that you can purchase if you're planning on taking the railways. However, you can always grab a taxi from the streets. Just be sure to practice your Korean before you go. Do I need a visa to visit Seoul? If you are a US citizen, you are able to enter South Korea with a valid US Passport. However, some other country citizens that reside in the US may need a visa to enter. TO see more information about visas in South Korea, click here. One of the most stunning and memorable places you must visit while you're in Seoul is the Gwanghwamun Gate, the main gate founded by the first king of the Joseon Dynasty. This historical monumental structure has gone through a series of restoration and repair, resembling the ebb and flow of the cities resilient nature. There, you can experience the Royal Guard Changing Ceremony. If you're looking for a historical experience that will blast you to the 15th century South Korea, you're in for a treat. 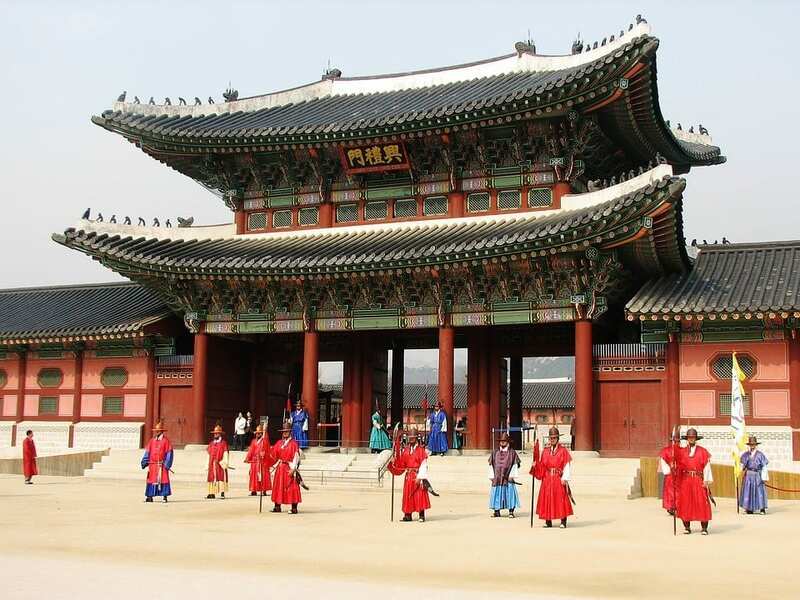 Gyeongbokgung Palace is a tourist spot you don't want to miss. It is said to be one of the most grandest of all five palaces and includes a National Folk Museum. Admission is 3,000 won. 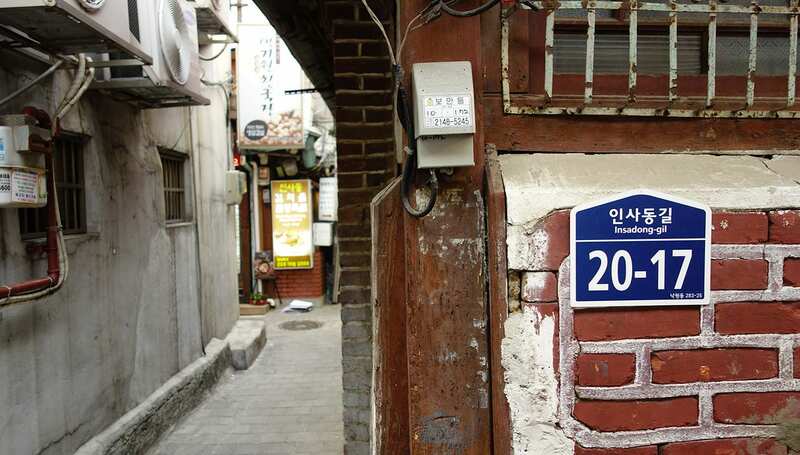 Next, take a hike or drive by the Blue House of Seoul, also known as Cheong Wa Dae. This is equivalent to the US White House, where the president resides. There, you can take a tour and learn more in-depth about Korea's long political history and culture. However, remember to book this far in advance since the tours here are generally sold-out. This gorgeous street is a blend of historical culture with a modern artistic take. Packed with assortments of shops and restaurants, this street is also the home of many new and cool artist lofts among the classic architecture. 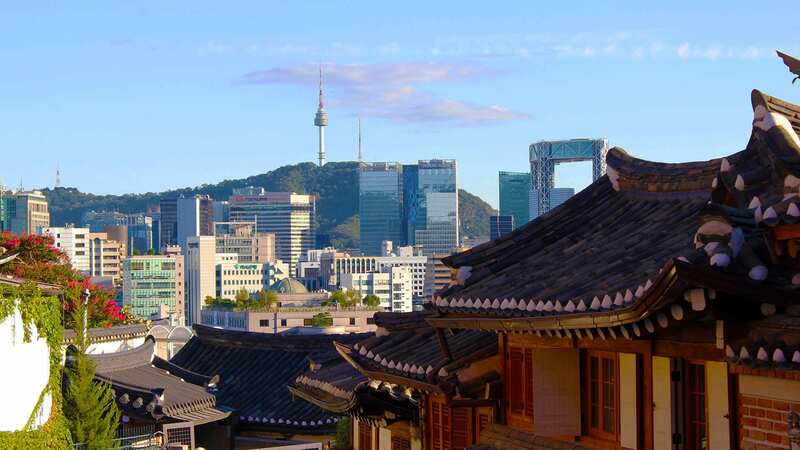 It's the perfect way to experience the Old and New Seoul. 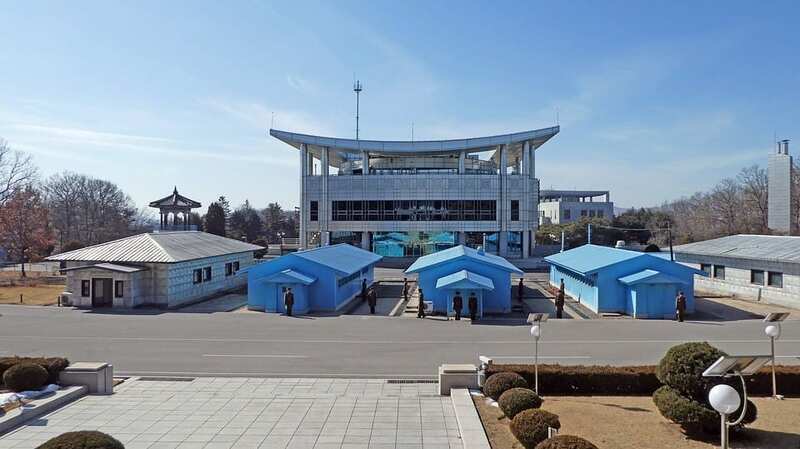 When traveling to Seoul, one of the must-see tours is the DMZ. The De-Militarized Zone is the "peaceful" area between North and South Korea. It was created by agreement between North Korea, China and the United Nations in 1953. Right in the middle, there is a meeting area which meetings between two countries take place. However, though it is seemingly peaceful, it is definitely an eerie place to visit. You can only visit this site by an approved tour. Check out the all-day tour options on Vialtor here. On the tour, you will stop at Imjingak Peace Park established in 1972 to remind the people of the Korean War in hopes for a more peaceful Korea. Then, you will travel to the 3rd Infiltration tunnel, which was discovered on Oct 17. 1978 and located only 52km out of Seoul. After that, you will visit Dorasan Observatory where North Korean military personnel are visible. You can actually see the mountain range and some of the North Korean propaganda towns. Also, don't forget to check into "North Korea" on facebook while you're there. Lastly, you will stop by Dorasan Station, which is a railway station on the Gyeongui Line. This is the northernmost stop on South Korea's railway line. The line still exists and can go to North Korea, however, remains there in hopes for peace in the future. 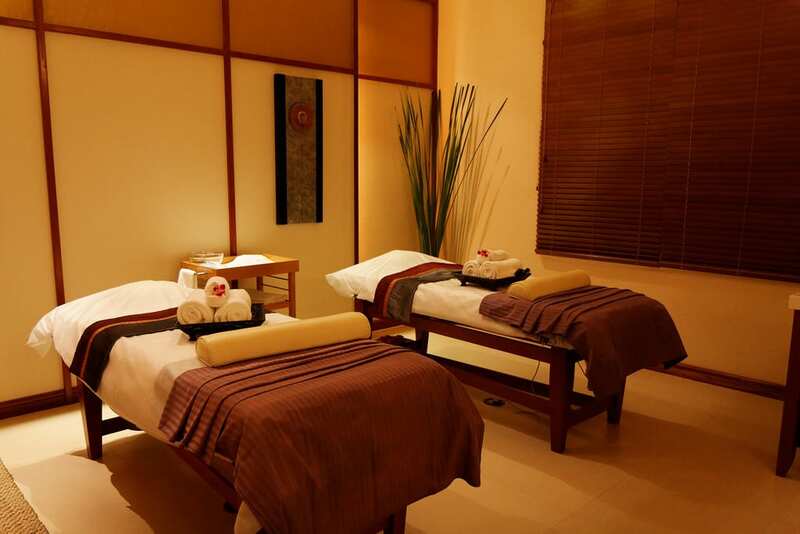 Now that you've gotten a chance to explore the more serious aspects of Seoul, it's time for a little pampering. 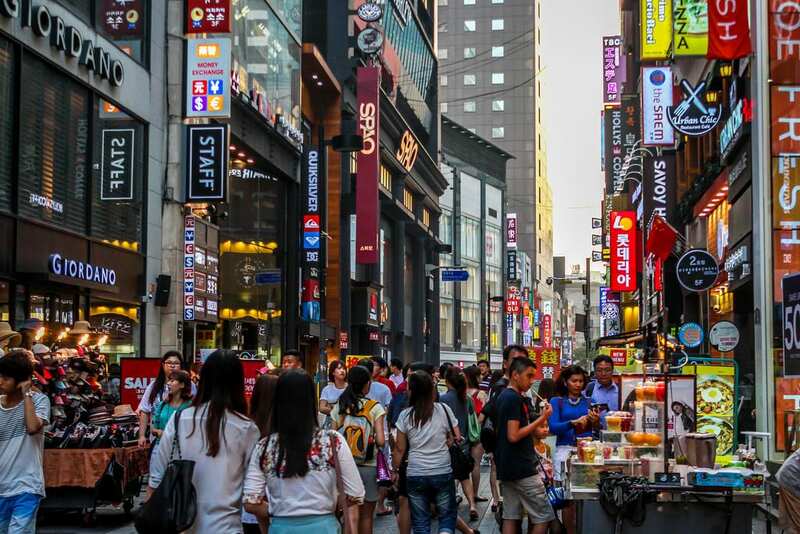 One of the most exciting features of Seoul is the shopping. People travel from all over across the globe to indulge in the endless streets of fashion and beauty stores. It's definitely the best country to visit for souvenirs, and I'm not talking about the cheap-o trinkets you get at the airport. 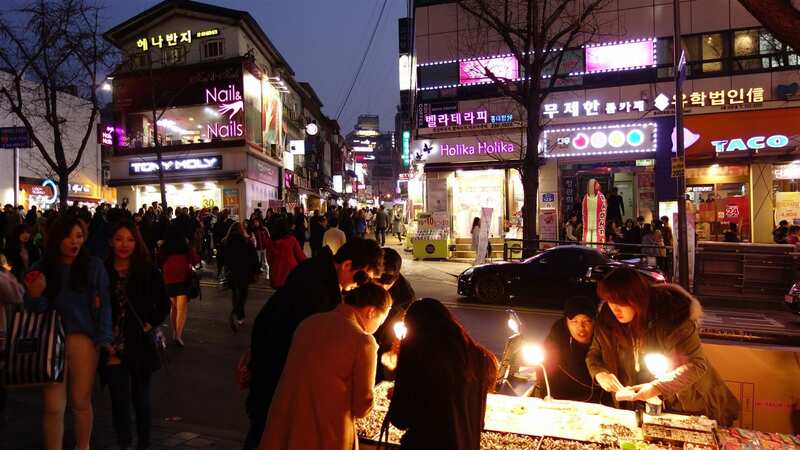 One of the most well known shopping districts is Myeongdong. Located right at the center of Seoul, this busy street is the home to all of the most popular skincare brands and shops. You almost need an extra day to fully explore this area, If you get hungry, Myeongdong is home to some of the best street food in Seoul. For those of you who are looking for a more cooler and hip crowd, Hongdae is your best bet. 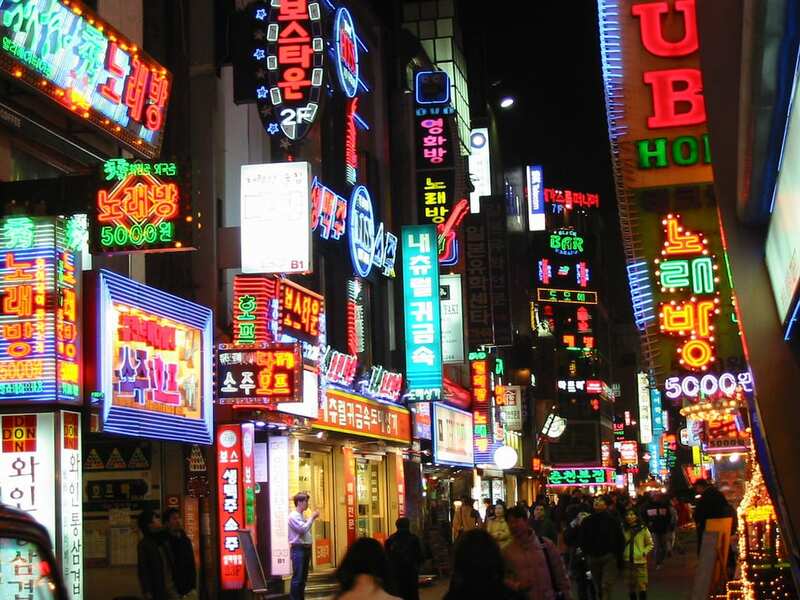 This area is close to Hongik University grounds, where many of the students explore the town for nightlife. Also, aspiring KPOP fans set up shop and perform in the streets. There are so many places to shop and eat in this area, so definitely make sure to stop by. Make sure to stop by this adorable cafe to get some extra special kitty time in! It's a great way to take a break after a day or shopping and use the free wi-fi. Get to know all the 41 cats. There's a wall displaying all their pictures and names, so cute! 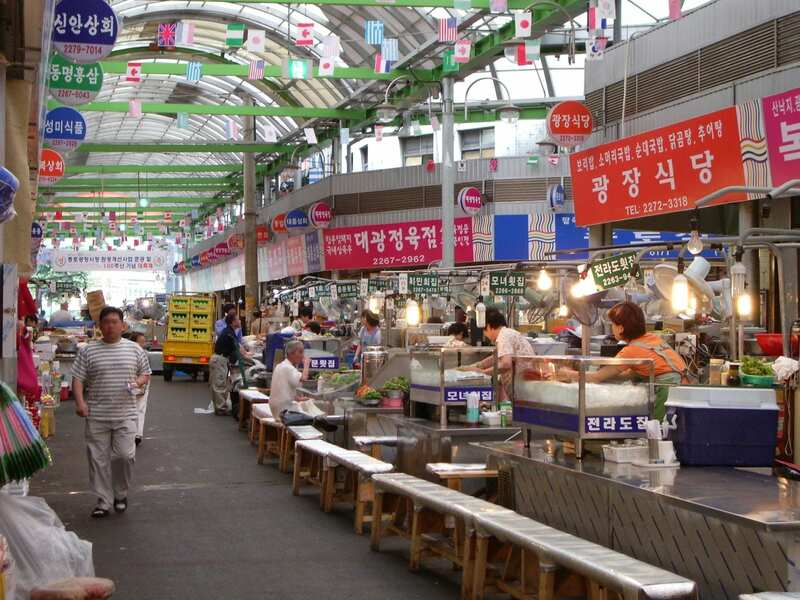 If you're not completely worn out from a whole day of shopping, head over to Dongdaemun Market. This iconic shopping area opens at around 9pm and closes at around 5am. There, you can kind some of the best deals on fashion, since most of the shops there are wholesalers. 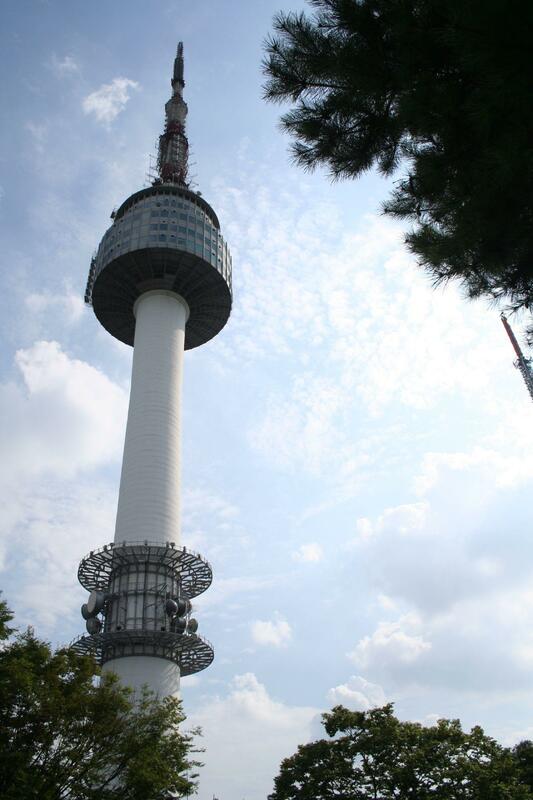 This stunning structure is the highest structure in all of Seoul, coming in at 236.7m tall. At the top of the tower, there are 4 different floors where you can dine with a 360 degree panoramic view. Tower T1 Includes: Korean Restaurant "Hancook"
It's best to visit Seoul tower at night so you can get a gorgeous view of the city lights. 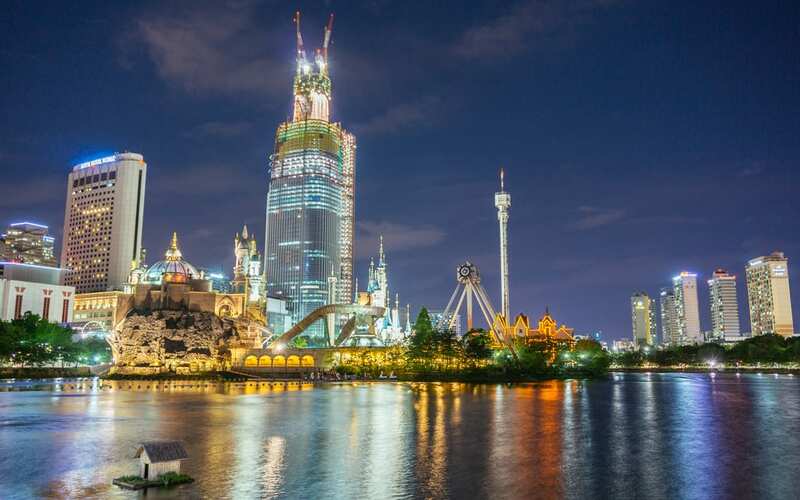 Lotte World is truly an adventure you don't wan to miss especially if you're planning on visiting Seoul with the family. The theme park has roughly 7.3 million visitors a year and consists of the largest indoor theme park in the world and an outdoor theme park called "Magic Island." Here, you can explore shops, restaurants, themed rides, and all sorts of family friendly activities. It's essentially like the Korean Disneyland on steroids. One of the most interesting and relaxing excursions to explore is the traditional Korean Bathhouse. Although Dragon Hill has many upgrades than the really nitty gritty jimjilbangs, it's definitely top of the line when it comes to quality. Be sure to brush up a bit on your Korean before you get there because many of the staff do not speak English. Also, be ready and comfortable to be fully unclothed with fellow same-sexed bath house goers. It's really an experience you can't miss and certainly won't forget. Also, be wary if you do have tattoos, you are not allowed to enter the bath house.